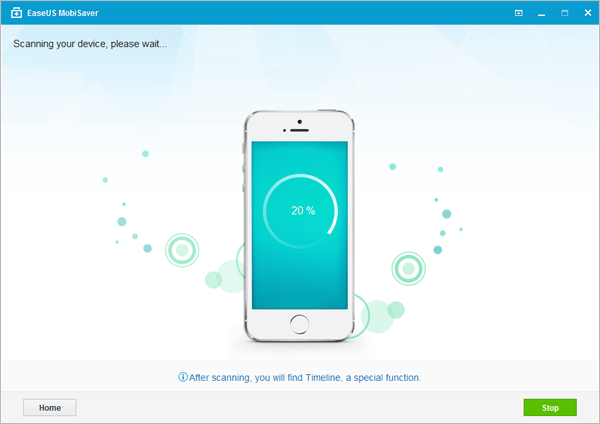 SUMMARY: [EaseUS MobiSaver for iOS Review] If you want to recover your deleted iPhone/iPad/iPod touch data for free, EaseUS MobiSaver probably is the best free iPhone Recovery Tool you can get. The MobiSaver iOS data recovery software from EaseUs is one of the Best iPhone Data Recovery software roundup we made on 2018. It's the first one who give users free iPhone data recovery solution even though the available feature has been cut from the MobiSaver Pro edition. It could be easily found that MobiSaver allows two different methods by which to recover your lost photos, messages, notes, contacts and other iOS data. If you need a detailed and impartial review for MobiSaver, you’re in the right place. EaseUS, a well-received digital product developer, provides a host of details, tech specs and how-to guide to customers so that you can find the info you need about MobiSaver. If you failed to find an answer their website, here are some frequently asked questions about MobiSaver, of which you may find useful (Free Download Best iPhone Backup Extractor Tools). Q: What're The Advantages of EaseUS MobiSaver? A: EaseUS MobiSaver employs the multi-layered iPhone data recovery solution to help customers find their data back - from iPhone device or from iTunes backup. You can download the EaseUS MobiSaver Windows PC software or macOS software, and each operating system has a free version and a paid version. Q: What're The Disadvantages of EaseUS MobiSaver? A: Do not get discouraged when you find the free version of EaseUS MobiSaver offers only the limited functionalities. For example, they can only recover five contacts one time. Q: Are there any EaseUS MobiSaver alternatives I shall try? A: Yes. Since every product has its strengths and drawbacks, so you do have many EaseUS MobiSaver alternatives that also work great. Omni Recover 2 is well-received and best-recommended one for macOS. Availability: EaseUS MobiSaver download is free available on EaseUs.com and other public hosting sites. It requires macOS High Sierra, macOS Sierra, macOS El Capton, Mac OS X 10.7 Lion, Mac OS X 10.8 Mountain Lion, Mac OS X 10.6 Snow Leopard. How Does EaseUS MobiSaver Work: Only three simple steps are required to use EaseUS MobiSaver: Connect your iOS device to computer, launch MobiSaver > Scan the device or iTunes/iCloud Backup to find the lost data > Export and save the recovered contacts in various format such as VCF,CSV, HTML. That's it. 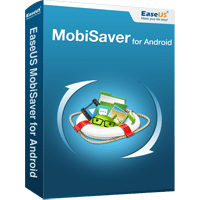 EaseUS MobiSaver Free Registration Code: As the EaseUS MobiSaver Free edition is free of charge, you can use its free features as you want. If you need EaseUS MobiSaver Pro edition, even though you may find its Free Registration Code on some parited/crack sites, it's recommended to purchase the full copy for the safety of your personal data. EaseUs MobiSaver was listed as 3 Star (fair) based on 153 reviews on TrustPilot, which proved its reliability and also, left room for improvement. If you are perfectionism, it's better to give a try with this excellent EaseUs MobiSaver alternative - Omni Recover 2. Here's a quick comparison table that may help you make the choice. Full capable with retreiving all iOS data and content without limit. EaseUs MobiSaver Free edition can only recover five contacts one time. It would be a nightmare if you have thousands of contacts. You can only export one photo or video file with the EaseUs MobiSaver Free version. Now are you clear about what is EaseUs MobiSaver, how does users say about EaseUs MobiSaver, and how to download EaseUs MobiSaver for free? If you need a pro-level iPhone Data Recovery Software to rescue your lost iOS data, get Omni Recover 2, the perfect EaseUs MobiSaver alternative and start now to download.